After graduating in 1995, Katrina worked in a variety of sales, marketing and management roles in the commercial world – predominantly in the media sector. However, soon after starting her own family the realities of commercialism started to wear thin and so decided to embark on a career change that would enable her to do something about the hypocrisies and injustices of this world; as well as nurturing a sense of citizenship in both herself and jher children. She started working with Giving Africa soon after its launch in 2010, in conjunction with undertaking a PGDip in NGO Management at City University. Katrina has worked with the Giving Africa ever since in a number of different roles. Culminating, most recently, as being asked to join the board as a Trustee. She also holds two Governor roles, at local schools, and enjoy supporting all these organizations in their development and, in turn, empowering children to reach their potential. 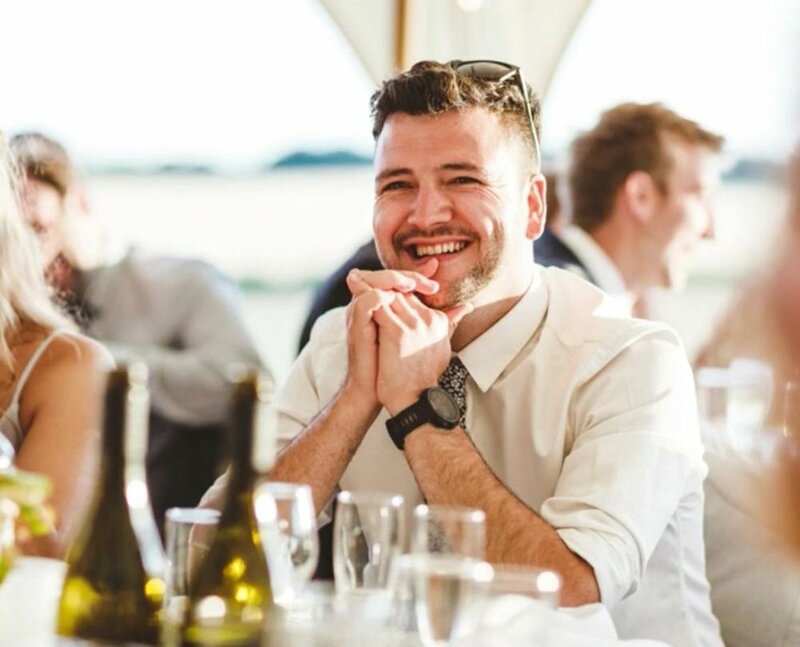 Matt is a career headhunter with a passion for the power of technology in connecting people and changing lives. In his day job Matt has worked with a broad array of charities supporting them in hiring transformational IT & digital leaders, while also leading on branding & marketing for Berwick Partners. Having a passion for working with clients whose mission is to actively improve the life chances of their customers, Matt felt it was time to do more and joined Giving Africa in March 2019 as a Trustee. After graduating with a Business and Management degree, Josh has been working as a Learning Designer. He helps clients to create innovative, digital and blended, learning solutions to business problems. In his spare time he is a school governor looking after the development of other governors, the Science and IT Curriculum and monitoring the Leadership and Management of the school. Josh is also a Young Enterprise business advsior which helps students to set up and manage their own companies. Josh is excited to be helping the students at Bethel School to realize their full potential. Craig is the founder of Giving Africa. He sees himself as a passionate adventurer, always looking for great experiences and exciting moments that life throws his way. He is known for his huge levels of energy and his insatiable appetite for life. "My mother was a social worker in South Africa before she passed away twenty years ago. Both of my parents encouraged a real sense of spirituality in me when I was younger and it was their deep sense of giving and love for Africa that really inspired me to launch Giving Africa. I have a deep respect for the African way of community, togetherness, and spirit, they draw me ever closer to this work. The intention of the charity is to support both our UK community and those in Africa to love ourselves and those we share our lives with. Through this, we then support the eradication of physical and spiritual poverty. After graduating in 1999 with a degree in Geography I volunteered for an environmental education programme in Tanzania for 5 months which gave me my love of Africa. On my return I worked within the Trust Fundraising team at Help the Aged, moving into the Operations division. After a move to The Children’s Society I worked as Head of Volunteering and Fundraising and Campaigns Partnership manager. My passion for volunteering led to being a founding Director of the Association of Volunteer Managers and it was through volunteering that I discovered Giving Africa. Having worked as Fundraising and Operations Manager I now have the priviledge to lead Giving Africa as CEO and work with an inspirational team to help children in one of the poorest countries in the world. After a career in Finance most recently at Lazard Asset Management and a move to Canada, I am now working as the Fundraising and Marketing Manager for Giving Africa. I originally volunteered for Giving Africa back in 2013 so I consider myself lucky to have had a bit of a head start. I also volunteer on a local non-profit board as well as help small businesses grow. I love the work that Giving Africa does and the fact that we can see positive change in the students right before our eyes. Having graduated in 2001 with a degree in geography, I moved into a career in marketing for a global yacht management company. Since then I have been volunteering with two local children’s charities and I am excited to be a part of Giving Africa and the work they do benefit children and their community in one of the poorest countries of the world. Georgie works in communications in the third sector. Having travelled in Kenya for five months, she was keen to gain experience in development issues. Since 2012 she has volunteered with Giving Africa in a PR and communications role and is our first official Ambassador – committing to raising funds for our work in Burkina Faso. By day I am the Sales Director of Astute, a marketing company in Bournemouth. By choice I am involved with Giving Africa through my 25-year friendship with Craig. It was Craig that introduced me to his idea of the charity and his vision for Giving Africa. It didn’t take long (less than 5 minutes) for me to be hooked and become part of this great Leadership team. I was part of the Giving Africa team that climbed Mount Kilimanjaro in 2011 on behalf of the charity, and will be leading another group of climbers through their training, preparation, do’s and don’t’s and sponsorship initiatives for a planned trip in 2013. I support Craig and Caroline with Corporate sponsorship ideas and as such Astute have chosen Giving Africa as our charity of choice. It’s amazing to be part of this team and Giving Africa, a fresh, young and exciting charity. I have been working with Giving Africa since its early days as a concept on a piece of paper! It has been a huge learning curve but it is amazing to think how far the charity has travelled in a short period of time. The formation of the leadership team is really exciting – it is great to have it driving the charity forward – I personally learn such a lot from the expertise that the team brings! I love the difference that Giving Africa represents as a charity – putting learning at the heart of its ethos – learning for the children in Africa and also learning for us here in the UK– it is unique and vibrant and there’s never a dull moment! I am responsible for Events and Stakeholder Management so please visit our events section and get in touch! I live in Kent with my husband and 2 over-energetic sons.